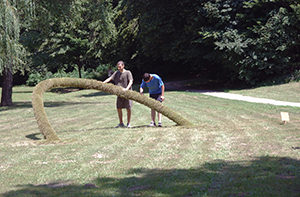 The installation Lucktrap is made out of large semi-elliptical completely covered in grass whose rounded part rises out of the ground under the forty degrees angle. When watching it from the distance, it seems like some invisible force pulled a part of the meadow and lifted it up in the air. Depending on meteorological conditions, Lucktrap more or less blends into its surroundings, at times seeming completely unreal. 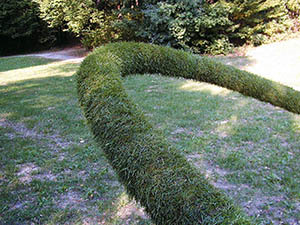 With this discrete accent on the surrounding nature, the author came close to some aspects of land-art. 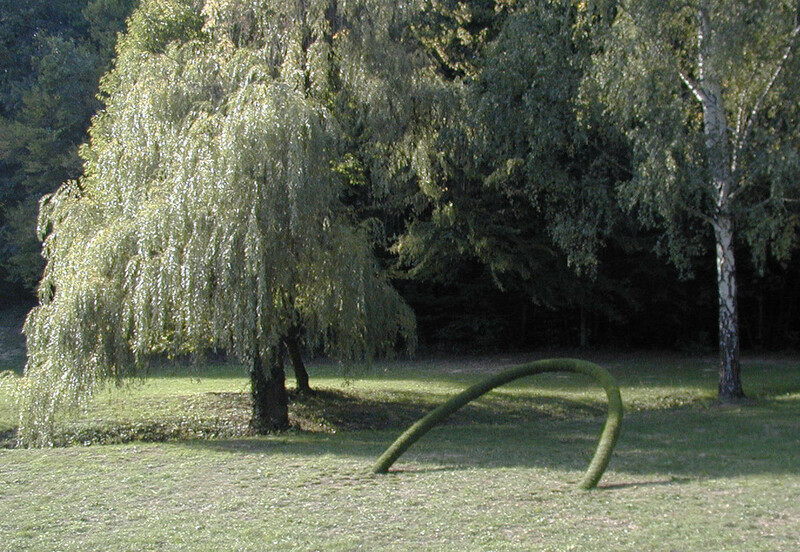 Organic is not present only in its form but also in its proper symbiosis with the natural surroundings, and impression that the installation is not imposed or interpolated, but logically derived out of nature. 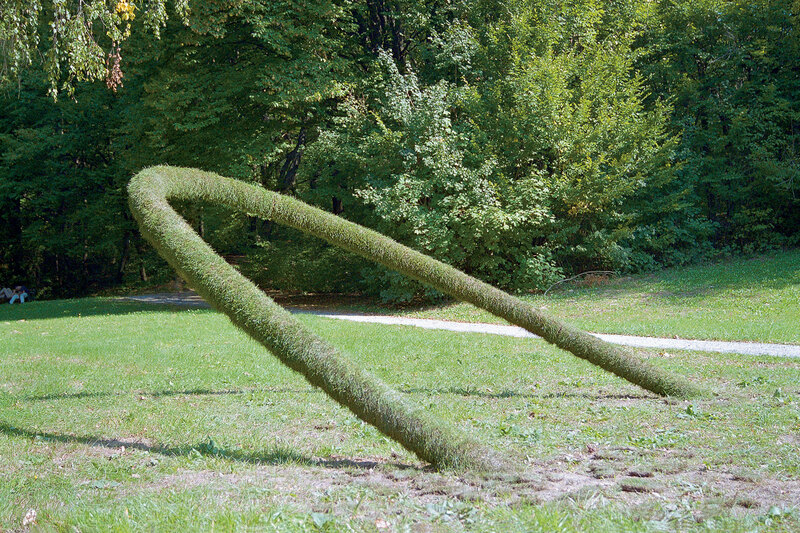 Lucktrap was made within the project Acupuncture 03 - artistic action which included temporary interventions by the group of artists in the park Maksimir. All of the artworks within the project were designed in the context of natural environment and included active communication with surrounding vegetation, open skies or nearby lakes.